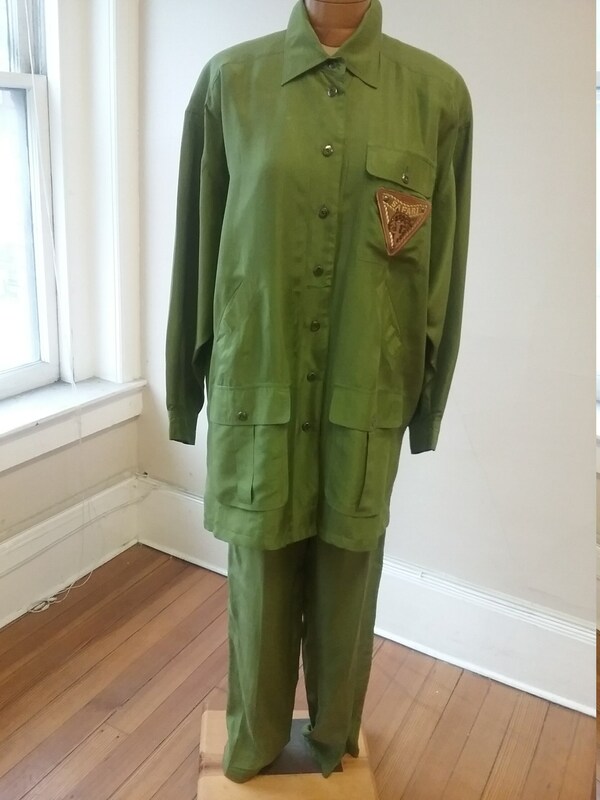 1980's, 48"chest, 2 piece olive green silk " safari" suit. 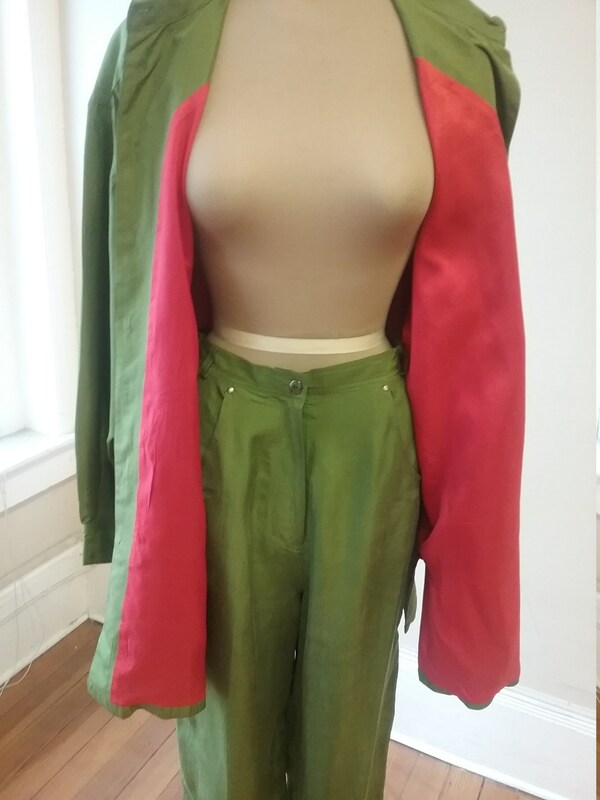 Jacket and pants are fully lined in bright red silk. 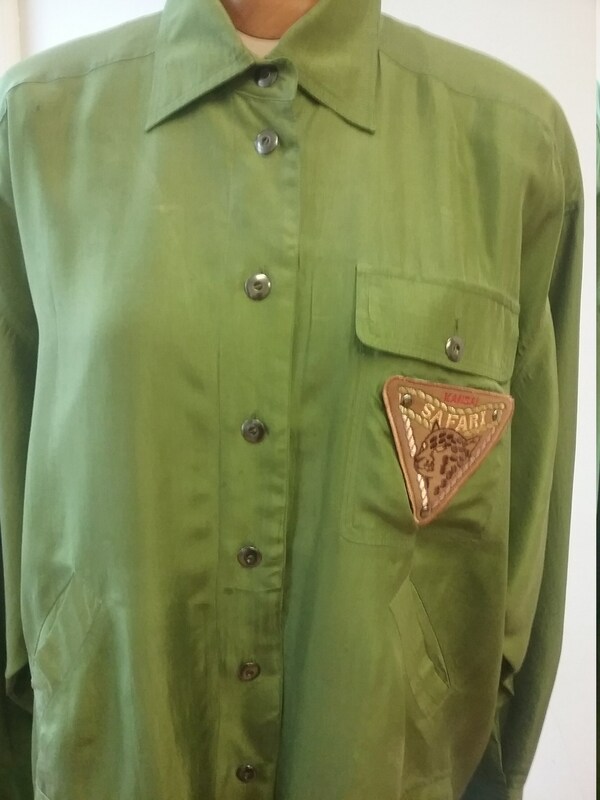 Jacket has silver buttoned flap breast pocket with a triangular leather patch with a wild cat face, and word "Safari" written in orange beneath the cat face. The front of jacket is fastened with a row of 8 round silver buttons from beneath collar to below hips. 2 slit pockets, and 2 large flap pockets are on font of bottom of jacket. Raglan sleeves are long and button at cuffs. 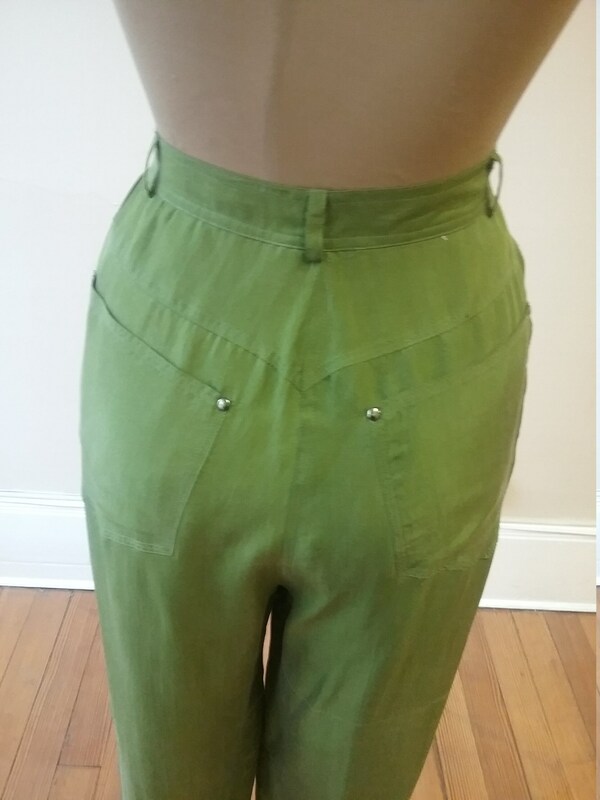 Small slits at each hip. 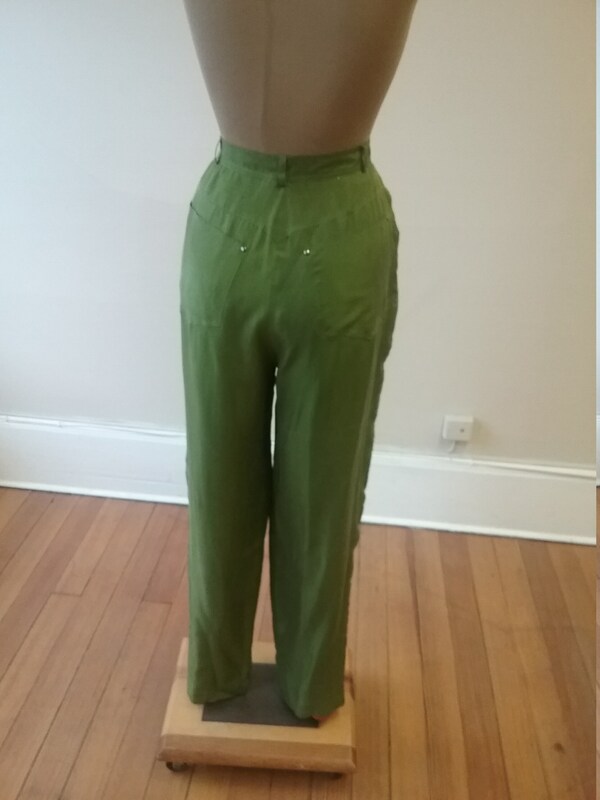 Pants are zippered in front, with curved pockets at each hip below waist band. Legs of pants are full at top tapering down becoming narrow at ankles. Label reads " Kansa Yakanoto"